Two free zones are set up outside a 36 by 30-yard field. Zones are free from defenders. Grid size can be up to half field depending on age of players and functional desire of coach. The free zone sizes can also be adjusted. Flat back four defend groups of attackers who come from end line with the ball. They can attack in combination play up the center of the field or they can send the ball to the flank zone that is free of defenders. Ball is crossed quickly and attackers attempt to score. When ball is cleared a new group of attackers come at the same defenders. Attack in groups of 6 plus free zone attackers. 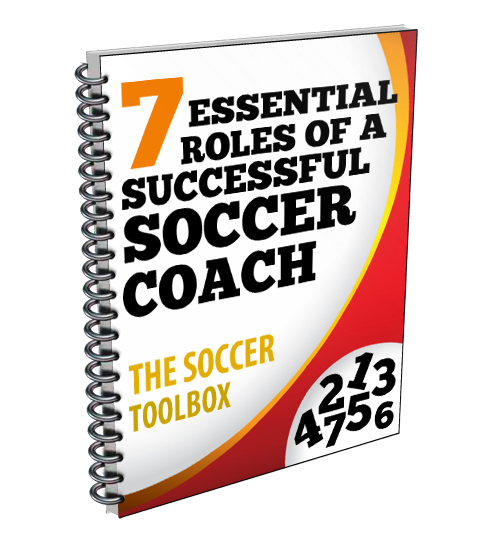 Coach can limit the attacking group to four players plus the flank free zone players. Coach can require all attack to come from flank with all attackers selling out to the crossed ball without any balance. Coach can blow whistle and the ball must get to the flank within two touches. Coach can allow counter attack opportunity for the defending group on opposite full size goal. Coach can limit the number of attackers that can come into the box for the crossed ball. 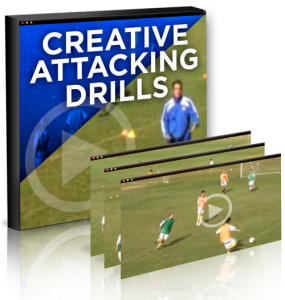 Take a virtual pitch side seat and watch how Chelsea Academy Coach, Chris Woodward trains players to move, think and react so they can be more creative in attack.